The new study was a collaboration between the University of Alberta and Uppsala University in Sweden, and led by Veera Tuovinen, a postdoctoral fellow under the supervision of Toby Spribille, assistant professor in UAlberta's Department of Biological Sciences. A classic example of symbiosis, lichens have long been known to be the result of a mutually beneficial relationship between fungi and algae. "With the microscopy, we could visualize the mosaic of different organisms within the lichen," said Tuovinen, who completed her Ph.D. at Uppsala University. "We're realizing that interactions are much more complex than previously thought." "Our findings from two years ago challenged the long-held view that lichens were made up of a single fungus and alga," explained Spribille. "This new research complicates the nature of these relationships even further. For one thing, it means that no two lichens necessarily have the same medley of partners." "What this means in concrete terms to the overall symbiosis is the big question," added Hanna Johannesson, associate professor at Uppsala University and joint supervisor of the research. "What we are finding now is basically what researchers since the 1800's would have liked to know—who are the core players, what function do they perform, all the cards on the table." 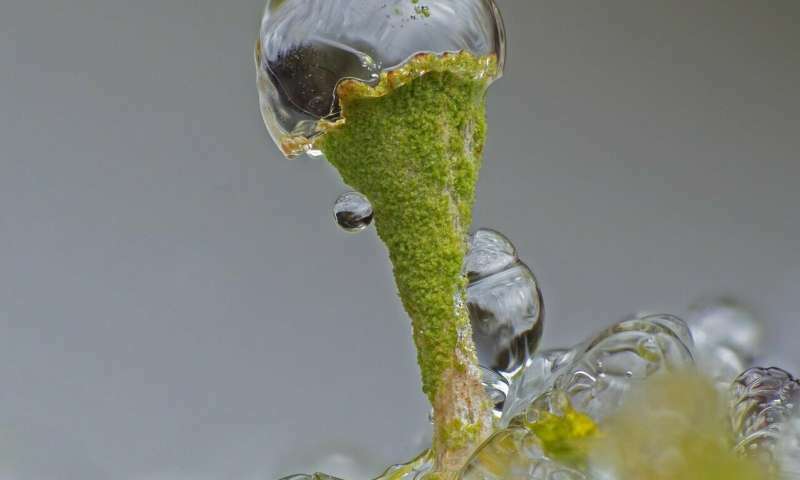 "The fungi and algae that make lichens are doing very interesting things in a confined space," says Spribille. "Knowing that there might not be any one way to pigeonhole the relationship is very helpful moving forward." The research was conducted with collaborators from Uppsala University and the Swedish University of Agricultural Sciences, as well as Indiana University in the United States. The paper, "Two basidiomycete fungi in the cortex of wolf lichens," was published in Current Biology.